Instant Car Donation was founded with the goal of bringing donors and local charities together with an efficient and pleasant process. You can focus on deciding which of our respected charities is right for you instead of worrying about difficulties of researching how to make a donation. After your free pickup, we will assist you in recieving the best tax benefit possible for your generous gift. We take pride in helping smaller charities easily receive car donations, bringing people together while helping support those in the Fort Collins, Colorado community who need it the most. Here are some of our favorite charities in the Fort Collins area. We have made sure each of them are eligible for tax deductions when you help your local community by donating your car. Your values and choice can make a difference. At the Boys & Girls Clubs of Larimer County, we provide an environment that helps young people reach their full potential. It is a positive mission that we meet head-on with life-changing programs and a caring, dedicated staff. We are there, every day, when kids are the least supervised and the most vulnerable - the after-school hours from 2:30 to 7:00 M-F, and all day during the summer and other school breaks. At the Clubs, kids learn to work and play together. They are given structure and responsibility. They participate in activities and programs that are so much fun they often don't know they are learning principles and ethics. Their attitudes change, they become more confident, develop character, and learn why it is important to get an education. They are motivated to avoid alcohol, drugs, tobacco, and early sexual experimentation. In 1984, the Food Bank for Larimer County was founded to avoid duplication of food collection and distribution efforts by nonprofit agencies. Our mission is to reduce hunger through programs that collect, process, store and distribute food to individuals and in cooperation with agencies that serve those in need. We are the only Feeding America clearinghouse for donated and rescued food in Larimer County. In 2007, we reduced hunger by distributing 5.6 million pounds of donated and surplus food from the food industry, government commodities, food drives and other sources to disadvantaged Larimer County residents. These residents represent single-parent families, the working poor, senior citizens, youth in crisis, the disabled and the homeless. There are many non-profit organizations, such as United Way of Larimer County, in your Fort Collins area which can benefit from your vehicle, like a Honda Passport, donation. We not only assist you donate to a charity, but we also concentrate on providing small local non-profits with an effortless means to accept donations so that they can focus on their work that is important. The donation will make the biggest difference for such charities, while helping support those in their neighborhood Fort Collins, Colorado community who want it the most, bringing together folks. Car donations are the most fiscally accountable way for folks to make a contribution. Due to this, one of their aims is to empower those making such a choice that is benevolent by ensuring that the vehicle goes into the charity that best represents their values. We make charity decision an integral part of the procedure, when donating with us. We could do this too, should you would like us to decide that charity would be helped the most. It is important to Instant Car Donation which you receive the largest tax deduction advantage without having carry out extensive research or to navigate complexities possible. We all of our participating 501-3C non-profit charities to verify your donation would be tax deductible. The procedure will be streamlined for both you and the charity of your own choice. We'll help you following your completed contribution with a 1098-C tax form. Besides the charitable tax deduction rather than having the hassle of managing an old automobile, the sensation of having the ability to help those in need may be the best reason to give your automobile to a non-profit organization, like Food Bank for Larimer County. Another advantage of donating a secondhand car to charity is your chance to just get rid of the car without having to try to repair or promote it. Most charitable car donation plans will anyhow vehicles whether they're operating in need of repair. When you choose to generate a donation of a old automobile, such as a Saturn L200,, if the charity sells the vehicle, like a GMNA (Opel & Daewoo) Roadster/G2X, for more than $500 they need to mail you a receipt which lets you subtract the sales cost of the vehicle on your own tax return. If the old car you decided to donate is not worth at least 500 bucks, then the IRS lets you determine the fair market value. This is the value that someone would be inclined to buy the car, like a Lexus LX 570, if buying it from you. You claim the tax benefit, and the charity gets to utilize the vehicle sells it and uses the profits for the good of the charity. That is a win-win for everybody involved. Car donation programs have become popular in Colorado over the past decade or so, as more charities are looking for new and innovative ways to create funds. Nowadays, the amount of charitable automobile donation programs numbers in the hundreds or perhaps tens of thousands. In case you have a favorite Fort Collins charity you want to make contributions to, it is probably possible for that charity to receive at least a portion of the funds when you give your used automobile. Charitable vehicle donation programs permit you to donate your secondhand car to the charity of your own choice. Visit our charities page to locate a charity in Colorado to donate to. Most used automobile donation programs will either sell your vehicle to increase funds for the cause, use the vehicle in the everyday operations of their organization, or provide the vehicle to a someone in need either for free, or even for under the fair market value. When there are many benefits to charities that receive donations from individuals, the benefits to the you, the donor might not be as apparent. The largest advantage that most folks hear is your opportunity for a tax deduction. There are a few limits on this kind of deduction, which means you might want to speak with a tax pro before making the donation. Is there a tax advantage for donating my automobile in Colorado? We can guarantee your car, like a Volkswagen CABRIOLET, goes to a charity, such as English Language Institute/China, that's eligible help you recieve a reciept for your donation and to receive tax deductible contributions. You may be able to get a tax advantage if you itemize your deductions. For contributions up to $500 it is possible to utilize Kelley Blue Book and to get larger contributions the charity, such as Trees, Water & People, must verify what they recieved to the car donation (more information). How can my car be delivered to the Fort Collins charity? 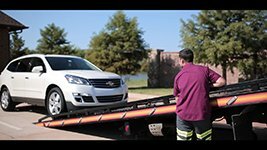 We'll arrange a tow truck to come get your automobile and deliver it to the charity of your own choice. It could not be simpler to help the non-profit organization of your choice! Surely, we accept cars in all states! Go ahead and submit your request to donate, and we will quickly see what we can do for you. We would love to help you make sure that your donation goes to a cause in Fort Collins you care about by assisting you to choose a charity, like Trees, Water & People, that fulfills your values. In fact, it is so important for us we do so each single time you donate with us! Who can I donate my car to in Fort Collins? Instant Car Donation proudly supports most respected national & local Fort Collins nonprofit organizations in your area. We work hard for you to be sure the organizaion gets support for your vehicle. All owners on the car title must finish the part of the title tagged "assignment of title by owner" or "transfer of ownership by seller". The majority of states require signing and printing owner names. You need to fill out any areas that require documentation concerning a buyer/purchaser/transferee with information about who you're donating the automobile to. You may find directions here. First we'll speak to the charity of your choice (or pick one for you if you requested that rather than picked) to make sure they want your own automobile which takes about one business day. After that wewill arrange to get a tow truck to come for effortless pickup. When it is taking a little more time don't hesitate to contact us. Is car donation only for clunkers? Many people think car donation is only to get older cars which don't come to an end of this driveway. This is simply not true. Many folks donate attractively re conditioned cars that they have been taking care of. Additionally, did you understand many car collectors give their vehicles every year? For instance, actress Sharon Stone has been collecting vintage cars over the past 21 decades and has given seven of the collectible cars for charities. Donations in this way will help charitable organizations to help people in need, to nourish the less fortunate, to educate children, to provide afterschool programs, to give clothing to displaced folks to help animals and lots of other actions that are favorable. Needless to say you're able to donate some car, like being a Bakkura Mobility Bakkura Mobility, or a Formula 1 Street Com Formula 1 Street Com, however what causes Instant Car Donation unique is that people allow you to pick a local charity like Trees, Water & People or even Boys & Girls Clubs of Larimer County in Fort Collins, Colorado, so that your donation can help the local community. Many automobile donation programs simply permit one to contribute to a organization as they're often hired specifically by this charity because their designated auto donation supplier. We are different. Charities not hire us. This also makes it possible for us to help numerous charities all over the country like ShelterBox USA and Boys & Girls Clubs of MetroWest. However, our unique power to help local charities like English Language Institute/China and Food Bank for Larimer County at Fort Collins, Colorado, is our specialization. He donated two vehicles worth $350,000 to help charitable causes. Would you know some one? Why not ask them if they would like to donate it to help a local charity like English Language Institute/China at Fort Collins, Colorado or even Conservancy of Southwest Florida? It can be almost any car, like being a Geo Storm or a Rolls Royce Park Ward! The options are endless. There are lots of reasons people contribute cars, like being a Suzuki SX4. Some of us do not have enough time or inclination to offer an automobile that is just sitting in the driveway or even perhaps the garage. Others don't have a great deal of cash available to encourage our favourite respected charity at Fort Collins, and this is our opportunity to make an effort to do something big to support their major work locally. In addition to these reasons, a good many men and women donate ELVs, otherwise called End of Life Vehicles. Even as we get older ourselves, or even face the passing of our family and nearest and dearest, devoting a car such as a Holden Volt to the charity of our heart is really a gift that we will offer ourselves and our community from Fort Collins or our community location. We could have gotten to this point in our lives where we just aren't driving our car no more. What better usage can we make of our car in place to use it to impact our community? Particularly small and medium non-profits such as United Way of Larimer County at Fort Collins, Colorado, really rely upon the aid of the city to continue their important work. Should we choose to donate our car into your charity like Food Bank for Larimer County, whose mission we all truly have confidence in we provide them the gift of unexpected funding to encourage an current program , or to help them develop new programs and also extend their own outreach. Donating our car can be a gift we give ourselves. A number of us will also be in the position of taking care of their estates of their nearest and dearest and putting their last fantasies to action. In this case we would choose to give their car to an underlying reason they believed in throughout their lifetime. Helping them to donate their own car may be gift we give them. Regardless of why you're thinking about donating your car, we could help. The thing that seems most crucial to people considering donating their motor vehicle is to be sure that the donation goes to a charity they really have confidence in, like Hearts in Motion. We have reached out to tens of thousands of charities in Fort Collins and beyond, whose names and profiles are around our site. We partner together to ensure that they are able to accept your car donation. In addition, if there's just a charity you need to contribute to who's not recorded here, then we are eager to contact them personally on your benefit. We will arrange a no cost pickup of one's vehicle, help you move your name, and contact the non of your choice, like Dallas Symphony Orchestra, to ensure that they get your donation. We'll also ensure that you get the paperwork you want come tax period to get the maximum tax donation. There are two approaches to give your vehicle, like being a Tesla Model S: the simple way, and also the tricky way. What's the difficult way? You can research by yourself and find a charity, such as English Language Institute/China from Fort Collins, Colorado, which you would love to guide. Next you can discover the value of your car, wash it, list it at a classified or a auction in Fort Collins, sign over the title, arrange for a tow, and also sell your car. Subsequent to the car is sold and the title is signed you can collect the funds and then get into the honored charity of one's own choice, like Nelson-Atkins Museum of Art, so as to contribute the profits. Once you figure out that you are supposed to send the test to, you can drop it in the email. Then, it is possible to research using the IRS to learn what sort of tax paper work that you need to document so as to get credit for the donation, fill in that paperwork, and submit it at tax time. It seems time-consuming. It seems like an inconvenience. Are you going to get it? Probably not. You may also write a test to The Women's Foundation of Colorado. Who has time to sell a vehicle? If you don't want to experience that grueling procedure, you can even search online to obtain a charity, such as United Way of Larimer County, which can process your auto donation in Fort Collins, Colorado. This is significantly less time intensive, however, your choices are somewhat not limited. You may just give your car to associations who are large enough or have a team that is ready to do all of the actions listed above because of it. But, most small to medium sized charities aren't determined to process car contributions. That means they are unable to accept your contribution. They are over worked, and mostly staffed by volunteers. Some times the sum of cash your vehicle may be worth isn't enough to justify the time spent by the charity. Are you currently trying to find a third choice? If this is the case, keep reading! We can assist you to donate your own D & N Trailers D & N Trailers to the respected charity of your choice like New Mexico BioPark Society Inc.! We are a small business that partners together with any and every charity to accept car donations. We've got tens of thousands of charities around our site to allow you to pick from, of course when there is a charity you'd want to subscribe to who isn't recorded here, we're willing to contact them for you personally in your behalf. We'll arrange a free pickup of one's car from Fort Collins or the regional area, allow you to move your title, and get the non-profit of one's decision to be certain they receive your donation. We will also ensure you get the paperwork you want come tax time to get the most tax donation. So go on and click on the donate button. It mightn't be easier! Do you have a vehicle, such as a Aston Martin Vanquish Zagato, just sitting in your garage or in your driveway that you have been intending to get rid of? Perhaps you think that it is too old, or it's in need of repair or refurbishing. A lot of us are willing to leave an unnecessary auto sitting in our our driveway for a long time without even spending the time or money to repair it. So that car sits and sits and sits. Let us be fair. Are we going to put in cash and the time to fix this car? If we were, wouldn't we've done it? Not only is that older automobile an eyesore, but we're also missing out on the opportunity to apply this valuable resource to enable a charity like The Dixon Gallery and Gardens! 1 man's crap is another man's treasure, so the saying goes. This is surely the case with automobile donations. A car, including a Pontiac Pursuit/G4/G5, which is unnecessary by you might supply just the correct amount of financing to a charity in Fort Collins or outside to fulfill its funding for a current or future project. When you donate your vehicle, you're giving a precious treasure to some charity, as your contribution helps them to continue their important work in the community. Boys & Girls Clubs of Larimer County at Fort Collins, Colorado is such a non-profit. Its call to activity is directly supported by your contribution--you can help the charity of your choice, like English Language Institute/China, to extend the reach and breadth of their good actions in the neighborhood! We pride ourselves in helping you convert your unwanted car to real treasure! Click on the donate button today to begin the process. When you let us know which you are ready to donate your car, we will arrange to get a completely free pickup in Fort Collins or the local area and sell your car. All you have to do is let us know which honored charity meets the call of your own heart, and we'll do the rest. The best part is that should you receive the advantage of clearing out old, unneeded crap, you get to offer funding to the charity of your choice, like Tiger Woods Foundation, and finally, you get the maximum tax advantage for your donation. We will provide you with a tax receipt for your donation, and also make sure that the charity of your choice receives your donation in addition to the required IRS paperwork to accept your donation.